A variable speed bandsaw machine has several speed drive systems located within the base of the machine. It consists of two v-pulleys mounted on a common bearing tube. 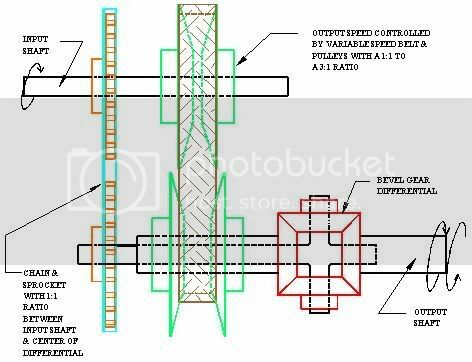 A belt on one pulley is driven by the transmission while the belt on the other pulley drives the saw band drive wheel. Two outside pulley cones are fixed, but the middle cone shifts when the speed change wheel is turned. These two v-pulleys play a significant role in controlling the machine’s blade speed and help provide accurate cuts. The main advantage of variable speed pulley is its being economical. It allows for various use without the need to change or modify the equipment. It is strong, quiet, and with a nearly infinite speed range depending on the pulley’s ratio limit. Variable speed pulleys use an adjustable operating speed to enable changes in a process or reduced-speed starts. 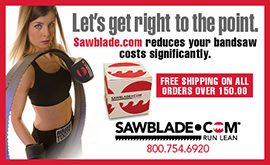 The bandsaw blade speed is efficiently increased or decreased depending on work conditions. Adjustable force limit protects the machinery from damage and protects the materials being cut by controlling the amount of force being applied by the drive/motor to the load. Variable speed pulley system are weightless, reducing friction in operation to reduce energy loss. The pulley reduces the amount of force needed to make it work. Additional pulleys further reduce this force. Controlled stopping is just as important to reducing mechanical wear and tear. Variable speed is almost a necessity in any cutting application. Machine operators need different speeds for different material cuts as well as for the sizes of blade being used. The different speeds have to do with blade type — tooth rake, blade size, etc. — and material density. If the blade can’t clear the cut it will either bog down, not cut straight, not cut well, overheat and break, or all of the above. If there is blade difficulty in cutting, try a different speed to improve the cut and prevent the blade from wandering. There is a reason for variable speed on a bandsaw machine — wood or metal cutting — and it is about what works best in a particular situation at a particular time that matters most. Experiment to discover what works best and when. This entry was posted in All Posts and tagged Bandsaw, machines, machinists, saw blades, sawblade.com, variable speed pulley, woodworkers. Bookmark the permalink.